the greatest brewer in England. from the frozen regions of Russia to the burning sands of Bengal and Sumatra. Ralph died in April 1758 and was buried in the Thrale family vault at St Leonard's Church, Streatham. 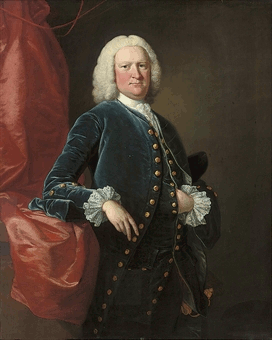 Henry Thrale then became the owner of the Anchor Brewhouse. Good sense enough to carry on his father's trade. His education at Oxford gave him the habits of a gentleman; his amiable temper recommended his conversation, and the goodness of his heart made him a sincere friend. I would not quit the brewery for an annuity of ten thousand pounds a year. Not that I get ten thousand a year by it, but it is an estate to a family. On 31 May 1781, after Henry's death, the brewery was sold by H. Thrale & Co. for £135,0001 and started trading as Barclay, Perkins & Company. 1. £13,500,000 or $30,000,000 today.